When it was announced that GM, would be halting the manufacture of its infamous Chevrolet Volt for at least four weeks, few were shocked. The Volt was awarded the 2010 "car of the year" title, but since that time has received negative attention, it made news as a "hot little item" when problems arose with the car catching on fire. This is the second interruption in production for the Volt, which can go 38 miles on battery power before needing a recharge from its gasoline engine or via a plug-in. GM cast a positive spin on the situation saying, “We are comfortable with our current inventory levels of these products, which allows us to take time for launch readiness of the Impala. This may include making certain areas of the line more efficient, address space constraints for incoming materials, provide additional training and more.” As of this writing, GM has sold 10,666 Volts through July, which, luckily for the automaker, is a major improvement over the 2,870 it sold at this time a year earlier. GM had made predictions that this year, over 45,000 units of the car would be sold in America, and more units in other countries. GM executives have attributed stronger recent demand on a low-emissions version of the Volt which GM launched in March, it qualifies for California’s coveted carpool lanes, previous versions of the Volt didn’t qualify. Some contribute the stronger, yet poor sales to large rebates and incentives as well as government purchases. Regardless, Volt inventories have been whittled down, too, to 6,500 units, or 84 days’ worth, as of Aug. 1. On March 1, just before the last production shutdown, GM had 154 days’ worth of the cars in inventory. 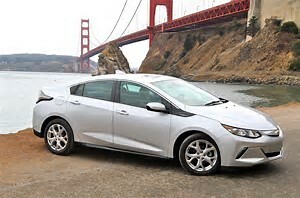 Footnote: I'm a strong believer in conservation and protecting the environment, but I do not think the Volt or GM is the answer. I also have a massive problem with government intervention in the business sector. If you have time please check out my post from April 28th, Electric Cars. The post is about Think Auto, another failure massively endorsed by the Obama administration as it pushed us towards a government contrived green future. * The effect on real estate prices and values, while helping to support prices by allowing people to borrow and refinance homes, low interest rates are also allowing more unneeded new construction at a time when many houses and commercial properties remain vacant. This will act as a double edge sword, when rates begin to rise and we can no longer play "extent and pretend" we will see more downward pressure on prices because empty buildings are costly to maintain. * The effect on commodity prices, low interest rates allows and encourages people to speculate on commodities. True demand no longer is the driver of prices, instead pricing is held hostage to a force based on what things will be worth in the future as to much money chases a limited number of goods. * The effect on the dollar, the only reason it has not crashed is that other currencies are in even worse shape. The dollar has been viewed as a safe haven because of its role as the world's reserve currency. This has allowed us to escape reality but that cannot go on forever. As more money is printed we are debasing our currency. *The effect on pension funds and on those living on the interest from savings. The impact is and will be incredible, we are seeing years of hard work and savings being washed away. How will funds be able to pay out as promised billions of dollars when they are being paid little or nothing on what they invest.What is safe, and what is not? To complicate matters we are forced to wonder how this all dovetails with the possibility of future inflation. It is true that many people go about their lives oblivious to the twisting, tearing, and ripping that is occurring to our economic fabric. We are seeing years of economic theory and wisdom cast aside as the effects of these low rates play out. The low interest rates are causing major distortions and disrupting, and putting in jeopardy plans and schemes laid out over decades to insure many a comfortable retirement. The struggle to adjust has an army of "professionals" who gather together funds from the masses and manage vast sums of money throwing themselves in all directions. One day they are fleeing Europe, the next day they are rushing to it in hopes of benefiting from a "fire sale" of asset's before a central bank move that will sort things out and put everything right. Bottom line no silver bullet exist and they will continue to kick the can further down the road. We should be afraid, very afraid. How long can they keep pushing on a string? Remember this is occurring at a time that we are all being asked to invest in riskier assets, we are being told it is our only hope in keeping up with what is approaching. We should not underestimate the many ways that exist for those controlling, or trying to control this game, to fleece us of our future. This almost leads one to ask, are we in a giant economic washing machine in which all "individuals" will see their money and purchasing power removed in the final cycle? On Thursday the U.S. Postal Service reported a $5.2 billion loss for the quarter ended June 30, showing a further deterioration of the agency's financial woes. With first-class mail volumes continuing to decline the loss for the fiscal third quarter was 68% larger than the $3.1 billion loss reported for the same period a year earlier. This means that the USPS is unable to keep up with obligations to its retirees. The agency projects that it will nearly run out of cash before the fiscal year ends next month. With little funds on hand, the Postal Service said it plans to default on a $5.6 billion retiree health-care payment due Sept. 30. The USPS already defaulted on a $5.5 billion payment due earlier this month. The Postal Service is now being forced to prioritize payments to employees and suppliers so it can continue delivering the mail. While remaining bad, the cash situation should improve in the final months of 2012, when holiday deliveries typically cause revenue to increase. Again Postmaster General Patrick Donahoe is calling on Congress to institute reforms to shore up the agency's operations. The Senate passed a reform bill earlier this year, but the House has yet to move on the proposal. Instead Washington has chosen to kick the can down the road to delay the end of Saturday delivery, layoffs, and closing of many Post Office locations.This is another example of what is wrong with America. Maybe the answer is for the American public to form a protest against Saturday delivery and seal their mailboxes over the weekend. Now that It is clear who the Presidential candidates will be, let us take a moment to turn our attention to the system or format by which they are chosen. After a series of state primaries where delegates are often appointed on a winner take all basis America must prepare to face the influence of the flawed Electoral College that is archaic, inherently undemocratic and gives certain swing states disproportionate influence in selecting the President. This takes over after the general election, and while the system does have some supporters, much of this support it is based on partisan politics. Reform of both primary and the electoral college processes would benefit the country by helping us chose better leaders. It is worth the effort to devise and support a system that lets the best talent and most qualified work their way to the top. The best way to determine if a system needs change is to look at its goal or purpose. Our two party system and partisan politics tend to gravitate towards getting candidates elected that reflect the wishes of party insiders and not the people, I reject that goal. We must elect officials that most represent the views and desires of a majority of the people and at the same time protects those on the political fringe. I consider winner take all contest the most unfair way to allocate delegates. Our current systems tend to promote gridlock or often leave us forced to choose between the worst of two evils. Anything that encourages the pandering to special interest and small intense voting blocks is not in the interest of the majority of citizens and acts to polarize the nation. Any state primary that acts to reduce the impact of those at the center and cast aside the preferences of a large number of independent voters allows for candidates to advance that fail to represent a majority of the people. When a politician tells a group of voters that they "deserve" more money and more opportunities, is this a cheap trick to buy votes? We must look past the media's glowing reviews and ask, "where's the beef"? Voters must make a serious effort to become better informed. The podium in a political campaign is a bully pulpit that sets priorities and brings about needed change. The flow of ideas and debate should be encouraged. Winner take all primaries are quick and less divisive to their party but the notion that we should choose fast and unite behind a flawed or lesser candidate because he or she is better known or financed makes no sense. Indeed we need to reform the whole process, I live in Indiana, we have no voice at all in choosing a candidate. The field of Presidential candidates has already narrowed dramatically before we have a chance to be quizzed. My favorite candidate Ron Paul had far less impact because of this closed process. Well designed caucuses or run off style elections offer voters the best choice. Another major flaw with our current system is that the announcement of any "third party candidate" can quickly skew the results, these candidates with a message become "a spoiler" that can deny the best choice any hope, this is magnified by the stupidity of our Electoral College. Over recent years, we have witnessed countries torn apart by burning, killing and tribal mayhem because the leaders in power stole the election, it should be pointed out that the winner-takes-all attitude is partly responsible for this problem. When the people's voice is ignored and both sides see the stakes as too high to admit defeat the system will lose broad support. Open primaries that allow the voters to move from party to party or promoting a “run off” type process where first as well as second preferences are considered would tend to expand and open the political debate. Letting a voter cast votes for their first two choices in a larger field would act as a poll that helps articulate how people feel about the issues. We must trust voters to make the correct choice and resist ideas that hogtie the people in an effort to protect them from themselves. The outcome of our elections will not improve without reforming how we arrive at our final choice, it is unfortunate this is a very low priority. It is time to put each vote on equal footing. Today with instant communication and no area of the United States more than a few hours away by jet it is time to eliminate the electoral college which redistributes attention during Presidential campaigns to key “swing states”and skews their overall importance. The fact that you can be elected President while receiving less of the popular vote taints an already lengthy and expensive process. The cost of maintaining this antiquated dinosaur is expensive and no longer yields any real benefit, in many ways harmful. It is sad that our nation still allows an election to teeter on, and be decided by a few hundred votes in Ohio or Florida. 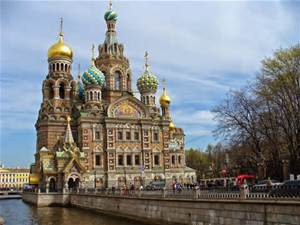 St. Petersburg, Russia Proved Most Memorable! I recently started working on a new book that I will be co-authoring with another writer about traveling. The name of the book is “Blitz Traveler”. The subject is interesting to me in that it explores a style of travel that is quite intense and not for the faint of heart. On one of these well planed trips it is not uncommon to visit as many as fifteen countries in just about four weeks. This has allowed me over the last several years to wander to more distant places. I’m often surprised how many Americans are uncomfortable with the concept of visiting distant lands. As a traveler I generally have found people throughout the world to be very friendly. It is important to step outside our comfort zone and to experience other people and their cultures without the filter of government or the media. As we visit other countries we discover different ways to view America, and begin to take a more worldly and less self-centered attitude as to our role in today world that is changing at an ever faster pace. We see with our own eyes how for many people all over the world every day life is a harsh struggle, and we learn how lucky we are to have been blessed to have been born in the land of plenty. We realize that others often hate America’s policies but not its people. Violence and ugliness shown in the media can not change the fact that the world is becoming a global village. Technology has brought about the collapse of distance, space, and time making the world much smaller in many ways. The increased interaction between different peoples, and the increasing economic ties are creating a co-dependancy that has positive long term implications. Put the history of time into perspective. In the context of mans time on earth it was “only a moment ago” that the Nations of the world joined together to form the United Nations. Today people are becoming more mobile and fluid. This has allowed a new cultural mix to thrive and mixed cultures to be accepted. With the internet and the world wide webs rapid growth the neighbor you converse with might just live on the other side of the world. As a result of new technology and media , man may move to a more collective identity and culture, less fragmented by the differences of the past. This is part of the magic and power of travel and a reason for hope that someday we will see world peace. Traveling is a learning experience. Little things you knew or have heard about take on new meaning and are clarified. The Muslim Prophet Mohammad said “Don’t tell me how well educated you are or how old you are, tell me how much you have traveled then I will tell you how much you know”. Traveling is one of the best ways I have found to achieve personal growth and gain new insights. People that are unwilling to grow and experience new things become like the walking dead merely putting in their time till it expires. I will gladly pay you Tuesday for a hambuger today! Nowhere is the trend of kicking the can down the road more prevalent then in government as politicians goal of being reelected takes front and center. This has reached a point where those in office are surrendering their better judgement as they go seeking jobs at any cost. We constantly see government bargaining with, and making concessions to companies like Amazon to locate facilities in their State. This is often done just to gain a few jobs with little thought to the long term consequences. Sometimes it is exempting sales tax, sometimes it is giving the company free utility build-outs or forgiving property taxes. I use Amazon as an example because it is an exploiter of the brick and mortar stores that line the streets of our cities and neighborhoods. By giving some companies advantages states may be lowering the ability of others to compete and in the long run lose more jobs then are created short term. In Fort Wayne, Indiana years ago the city backed a bond and the loan to build a massive hanger at the airport for an air-freight company named Kitty Hawk. They promised a slew of new jobs when they located their hub in the city, the company is now bankrupt and the jobs are gone. The taxpayers of Fort Wayne are now paying for an empty hanger that they are trying to lease at a aggressively low price. This hurts those private investors and property owners that lease building space as they are now forced to compete against the government to which they are forced to pay taxes. Short sighted attempts to sidestep real structural failures and problems often fail. Real problems must be addressed with real solutions not just promises of future action or put off until a later date. Unfortunately not taking the proper steps often causes more problems down the road. This brings to mind the words of Winston Churchill who said, "The era of procrastination, of half-measures, of soothing and baffling expedients, of delays, is coming to a close. In its place we are entering a period of consequences" My point is, we too are entering the place where we must pay the piper. Guess I am A Pirate, 200 Years To Late, words from a Jimmy Buffet song that seem to stir more then a few souls. It is the time of year when parrot-heads trek off and make their pilgrimage to concerts celebrating a kind of easy going, philosophical island existence. This often ends with kindred spirits of all ages coming together and enjoying the moment. We should not underestimate the importance of this kind of cultural cross generational bonding that is rare in today's "go go, youth oriented" culture. Not only is it healthy for people of all ages to come together and share a common experience, but it is important to remember feeling are a common thread. Even if we were born at different times, that does not mean we have not walked down the same path. Oh, the sweet naive thoughts of youth, the days when "we knew it all." Note, growing older does not mean one cannot remain young at heart, yes the fire can still burn within, the young would be wise not to discount the wisdom of those that have been seasoned. When we view what is described as "Japans lost decade," it is important to note several things. First Japan's economic malaise has dragged on for far more then ten years. Second while Japan has been experiencing slow growth the world economy has grown rapidly, in effect the world has pulled Japan along. Had we not seen vigorous world economic growth Japans export markets would of suffered greatly, and we must remember, for Japan exports have been their salvation and a bright spot. It is very important that we recognize that when the markets unraveled in 2008 it was because we had over done things for years, at the time we collapsed like a deck of cards. After trillions of dollars have flooded the economy from central banks, we have bounced back, but this is not sustainable, the trend of downward and slowing growth is again reestablishing itself. Even the better then expected just released job numbers are to few. America is currently experiencing its slowest post recession job recovery on record, recovery has taken longer and been far less robust following each recession since 1982. Each day the mind boggling government deficit takes a toll on America. Many blame the huge number of manufacturing jobs that have gone overseas. The reality is we are less competitive, our economy has structurally changed. Until we address this issue expect the Great Recession to just keep grinding on. Now its saved, now its not! Hitting new highs, stocks have made some jaw dropping moves over the last ten days. Much of the action has been based on high profile statements by Mario Draghi, President of the European Central Bank. Draghi has been front and center claiming to be ready, willing, and able, he has said he will do anything necessary to save the euro. The question is if the political will exist to face the cost that may exceed two trillion dollars. As the Euro zones fourth fifth largest economy the Spanish government must borrow €385 billion until the end of 2014 to cover its budget deficit and other needs such as bond redemptions, according to economists at Credit Suisse. This could be the reason "Super Mario" has beefed up his mission to support the troubled currency, it seems the wheels may be coming off the bus. At times it seems the only thing holding the euro together is dumb, blind hope. Greece is not getting any better, and more downgrades came out after markets closed at the weeks end, some economist now are predicting that Slovenia will be the next country to line up at the bailout window. Much of the recent market action of staging a rally on bad news with the hope that the federal reserve will throw more money at the problem is not a good sign, it is reminisce of 2007 just before the collapse. If you have time, please take a peek at my July 23 post Spain To Big To Fail, so they said!